I have a Nikon D5000, my LG Leon phone camera, and my Samsung Stratosphere II phone camera. Of all three of these devices, I love the camera on the Samsung Stratosphere II. 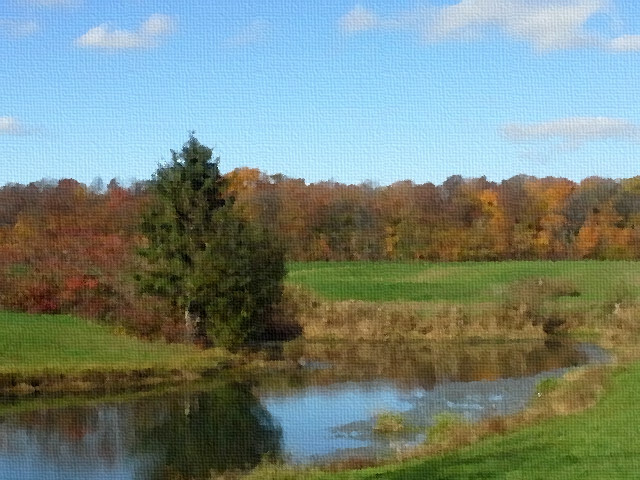 It has multiple filters that can be used as you take the image, like the autumn setting used in this image. There is an adjustment for exposure value which allows you to adjust light and multiple other settings to play with as well. I bought my LG Leon about 3 months ago, and still keep my Stratosphere II either in my glove box of the car or in my computer bag to have handy for test shots or just a quick camera to grab to snap a couple quick images. I know longer have phone service on it, but just keep it around as a spare camera. Combine this camera with the power of Gimp photo editing software and you can come up with some incredibly beautiful photos. This photo was edited, using Gimp. I did a quick contrast adjustment, ran it through the oilify filter, then the canvas filter and done! Image edited in gimp. Oil on canvas filters and contrast adjustment. This entry was posted in Gimp, Photography and tagged canvas, filters, Gimp, oilify, photography on November 10, 2015 by NewAeon.